Vision Zero is the goal to reduce all traffic fatalities to zero. 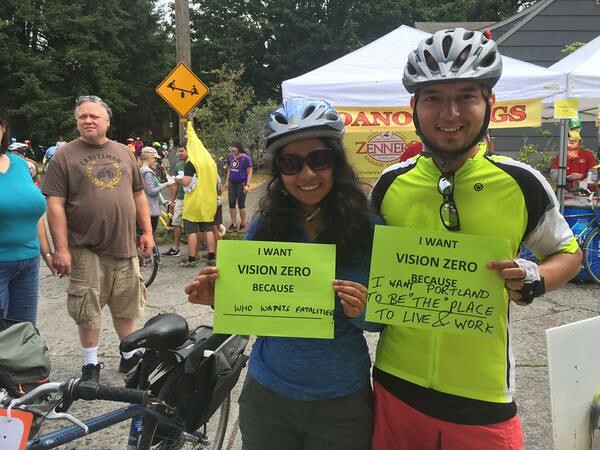 Oregon Walks has been working on bringing Vision Zero to Oregon since 2013. This page highlights our work on this campaign and opportunities to get involved. This report, released in September 2015, looks at data from 2003-2013 on pedestrian fatalities in the State of Oregon. The results are alarming. Our jointly released report in March 2015 with the Bicycle Transportation Alliance that provides direct recommendations on how to reduce traffic fatalities to zero, and research on fatalities and serious injuries in the Portland Metro area.